BuilderStorm is well suited to all types of companies within construction. We offer over 30 different features that will appeal to a wide audience with a pricing model that scales in line with size. 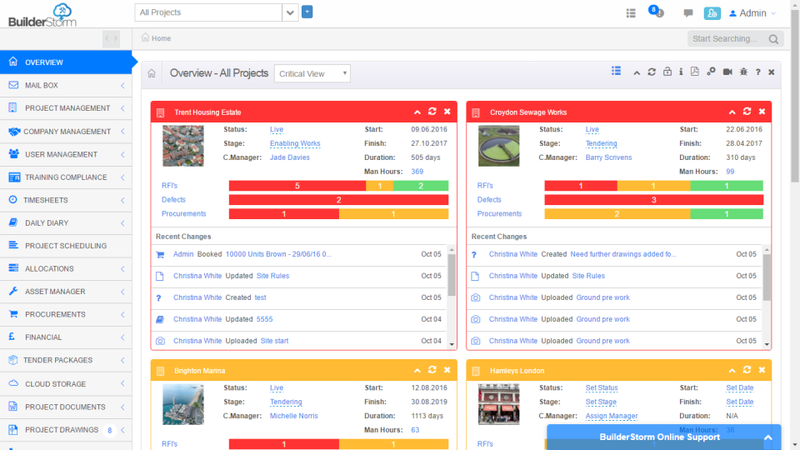 A UK Cloud-Based, Mobile-Friendly Platform of Project Management Tools * Logistics * Financials * Document Control * Quality Controls * Digital Forms * BIM Level 2 * ISO 9001 * SSL Tender to Completion. Office to Site. Management, Subcontractor, Design Team, Client. Easy to use, migrate, implement and access and with over 30 + features available, we can build a platform to work for you tailored to your company's specific needs. Pricing based on requirements, paid monthly, no fees per user. Pros: 1. 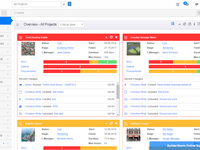 Project Management- you can upload as many projects as you want onto the software, the old ones can be archived so they don't have to be deleted. 2.Text Sms Service- you can send out bulk texts to a large amount of people for job advertising purposes, or if you need to get a message across to many employees at once 3. Timesheets - as this is a cloud based software, timesheets can be updated by anyone at anytime (depending on who you give the permissions to), this is all saved and can then be submitted to pay roll for processing. All hours/ wages are calculated automatically and the costs are assigned to the specific sites people have been working on. 4. Induction System - you can give new users a link to the page, they can click enrol and register their details with you. You can approve the user and this automatically puts their details into the user management section to build up the amount of users/ potential new employees. If there are any problems with any of this you can send an email to customer support and they will resolve the problem for you, and they are always there to help if you have any issues or if you are unsure how to use parts of the software. Recommendations to other buyers: This is relatively new software and the developers have designed the product focusing on our specific needs as a business. I would recommend this product to all businesses in the construction industry, it will help to streamline the way you work and the way you manage your employees and projects. Comments: Builderstorm went above and beyond to personalise our product and create and excellent bespoke piece that was perfect for the job as well as offering additional features that we hadn't thought about - that really enhanced the quality of the product and customer experience. Pros: Really good product, bespoke to our needs, produced quickly and without fuss. The company is good to work with and communicate well, with good technical knowledge for a variety of topics and solutions. Cons: It runs very well already and just think they need their name out there to get even more experience - I just think all companies benefit from expansion! Pros: Customer-focussed, responsive team based in the UK. Cons: A more detailed level of control for document viewing permissions would be useful. Overall: We've had a very positive experience. 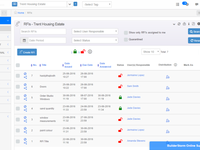 BuilderStorm have worked hard to tailor the functionality and reporting to suit our business and projects. Recommendations to other buyers: Our main concern when considering BuilderStorm was whether we could realise the benefits vs the cost. However the free trial helped us to make this assessment and the benefits of improved coordination and reduced administration are already being realised. 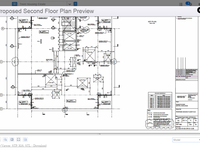 BuilderStorm has helped us to: Demonstrate of BIM Level 2 compliance. Coordinate project information for a large project (for our business) with client, project and supply chain teams at various locations. Ensures all teams are using the latest information. Reduces administration of project documentation. Integrated TFI/TQ system to record technical queries and responses. Comments: Rich feature list with a great price point, excellent support and seamless integration with our LOB applications from 1st class developers! Compatible with the many flavours of operating systems, devices and browsers all based in the Cloud accessible from any device at any location! 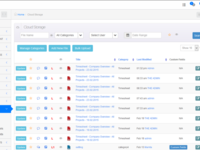 If you want to work from any device, at any location and collaborate with the rest of your team, company, branch office, customers, sub-contractors and need to control these elements then try Builderstorm! Other "File Sharing" sites do not give this level of functionality, consider your revisions on documents, drawings and other critical documents.....do you have a revision audit trail? Do you need to capture photos for distribution, complete a daily diary or submit timesheets for your team who can be on different projects daily? Do you have defects to report, RFI's or Plant to record? Do you really want to store these on local storage based in your offices & have to open up your private network to the rest of the Internet to provide access? Consider the costs associated with procuring Servers (CAPEX), licences for Operating Systems (Opex) and of course making these available in a Disaster......with Builderstorm being based in the Cloud you don't have to consider these anymore! Pros: The software does everything we need. We are a small scaffolding company and need remote daily diaries, timesheets and document/drawing management. We also use the training register to keep track of the guys tickets, and the expiry dates. The customer support is fantastic, they are quick to respond when I have an issue or need something changing. They also adjusted the software to suit our methods for no extra cost. Cons: Initally the software was quite overwhelming, lots of the elements were of no use to me, which can make things quite confusing. But I talked it through with James and got the things I didn't need turned off. It was much more straight forward then. Recommendations to other buyers: Make sure you ask for exactly what you want. At first the training register didnt quite work how I wanted it to, but after speaking with the guys at BuilderStorm they changed it to work exactly how I should. Comments: I work for Southway Housing Trust, a registered social landlord based in Manchester. Last year we were procuring for a company to help us deliver a new digital package to assist our new tenants. 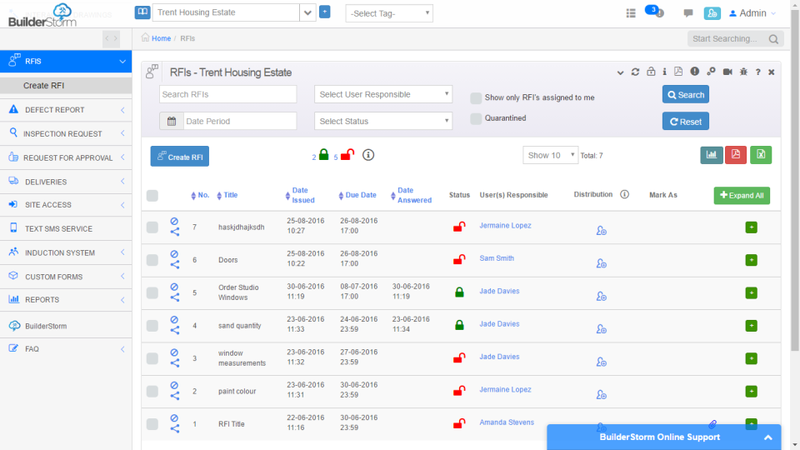 We wanted to start shifting the sign up process for new tenants to a digital process, so as to make it more streamlined. BuilderStorm did an excellent job designing software bespoke to our needs, helping us manage some of our social housing requirements and challenges. Comments: Very user friendly. Customer support is excellent. Willing to adapt software to suit requirements. Would have no hesitation in recommending to other contractors. Pros: The customer support is the best. Emails replied to in minutes, someone on the phone. They are keen to adapt the software to the way I want it to work and this is a huge bonus. Cons: They are still developing the software, so some of things I want are not ready yet, but they are adding those soon. The price will not change so thats a bonus. Recommendations to other buyers: Take advantage and try all the features, some of the features appeared to be of no use to me, have turned out to be very effective and valuable. 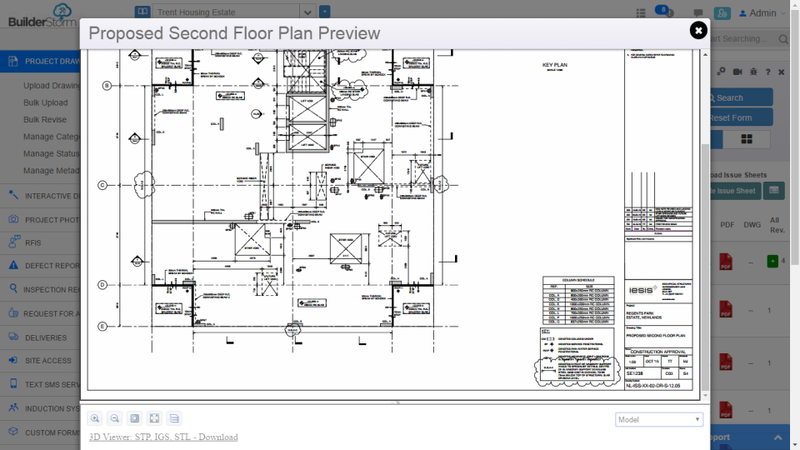 Comments: This is a brilliant software product, it makes my working day so much easier it gives me more time to get out on site. But it doesn't end there, if I need to update anything while on site, I can do it from my phone. it is so simple and easy to navigate. Pros: Software is very user friendly and easy to set up. Vendor is very happy to help and assitance is very helpful. Cons: Has certain limitations with regards to issuing drawings but that is just being very picky about it.